Yoga Poses For Kids That Are Fun And Easy To Do! Our modern world has made life complicated for everyone, but yoga poses for kids can help alleviate some of the pressures that our little ones face today. Life is very different today than it was even as recently as fifteen years ago. Our lives are complex, crammed and, unfortunately, our children are under the same pressure. 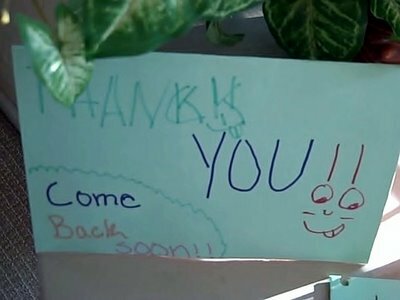 They rush to school, do homework, have endless after-school activities and are pressured to compete with other children in sports and in the classroom. Eventually, the burden of over-scheduling takes its toll. Add those pressures to a broken family and hardships, and it's no wonder why children are having more health problems and emotional disturbances. Stressed lifestyles are only part of the problem. Fast food and the unhealthy diets that children consume are real cause for concern. Also, children are not only in front of the TV, but are now becoming addicted to the computer, sitting for hours on end in front of the screen. The new epidemic of overweight and obese children is staggering. Children are no longer doing the things that children do ... play and have fun! The ways that children learn is through playing. Social interactions, language skills, and every other kind of relationship is learned through play. Children that are deprived of that necessary activity ultimately suffer. Yoga for kids inspires active bodies and playful imagination. Through play, children learn easily and naturally. Children learn the importance of breathing properly, which gives them more energy and inner strength. Combining deep breathing and the poses feels good and is a safe way for them to explore their changing bodies and to learn to calm their restless minds. Yoga for children is not an educational agenda, but shows children ways to cope with stress in a fun atmosphere. Stress affects the way children interact in their surroundings and affects their learning capacity, health, well-being and confidence. It is a well-known fact that stress can also adversely affect the immune system. When yoga is introduced to young children properly and in a playful way, it is a new activity that is very different from traditional exercise. It's about having fun! For example, as children learn the different body positions, they can become animals and things found in nature; snakes, birds, cats and trees, just to name a few. This develops imagination and makes sessions more interesting. A creative approach works the best and keeps a child's attention. Children who are not used to exercising learn a non-competitive, fun, physical activity with achievable postures and movements. Yoga for kids is a creative approach to wellness and fitness that can be very helpful for children whose bodies are still developing. Each child can work at their own level with no pressure. Yoga classes geared towards kids are beneficial for balance, control, co-ordination, confidence, motor-skills, emotional stability, breath control, self -esteem, flexibility, focus, attention span, muscle tone and sensory integration. It also helps to improve their moods and sleeping patterns by helping them to relax more easily. Yoga poses for kids have a slight similarity to gymnastics because it is about learning how your body works and feels in different positions. The benefits of Yoga for children are becoming more apparent, and it's "cool" to do yoga because a lot of stars and famous people do it. 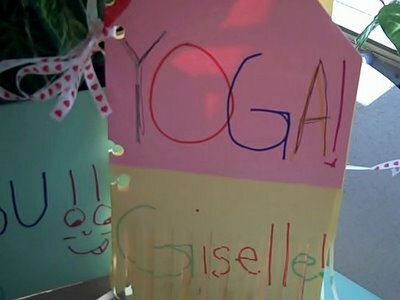 Some schools now offer yoga programs for children. Children say that they feel more relaxed and have less trouble focusing on school work when they are involved in a yoga program. When children practice yoga, it helps them to develop better body awareness, self-control, flexibility and coordination. Children are better able to carry the yoga skills they learn beyond class and into their normal everyday routines and is a wonderful opportunity for children to learn life skills like relaxation and breathing techniques that will help them focus, concentrate and be calm. 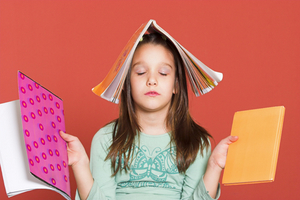 Yoga teaches children about body awareness, including the ways to relax in stressful situations. When children enter a Yoga class, they know it's ok to "leave the stressful things behind" and "close the door" on negative feelings that overload brings. Children need a way to manage all of their fears and stress. It is not healthy for a child to feel pent-up anxiety over any situation. 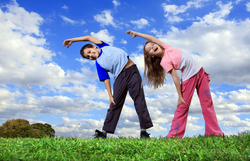 Kids can benefit tremendously from many easy to follow positions and have fun practicing and accomplishing yoga poses. Yoga has great benefits for growing children. It can be the start of a life-long journey of health and wellness into adulthood. You may be able to find a yoga class for kids at your gym, or the local YMCA. Always inquire into the credentials of the teacher and make sure that he or she is qualified. You can also check out tapes and DVD's made specifically for children. I recently taught a group of children at a local school. 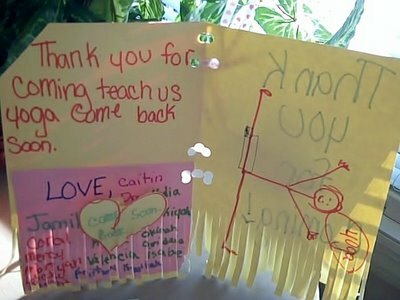 When I first arrived, I didn't know what to expect and wasn't sure how the children would react to something like yoga. They absolutely loved the experience and got so much out of seeing how good it feels to move, stretch and develop their imagination, as well as calming down through their breathing. 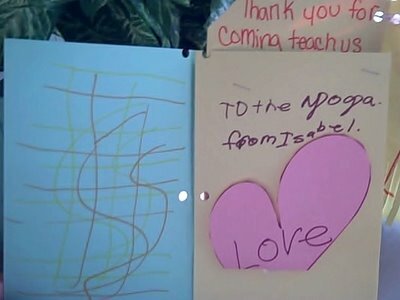 It was a such a nice surprise to know that they liked it enough to send me hand-made thank you cards. I will cherish these cards. Take a look below. Thanks for visiting my Yoga Poses for Kids page. Stay tuned to this website for Childrens' Yoga Videos coming soon!